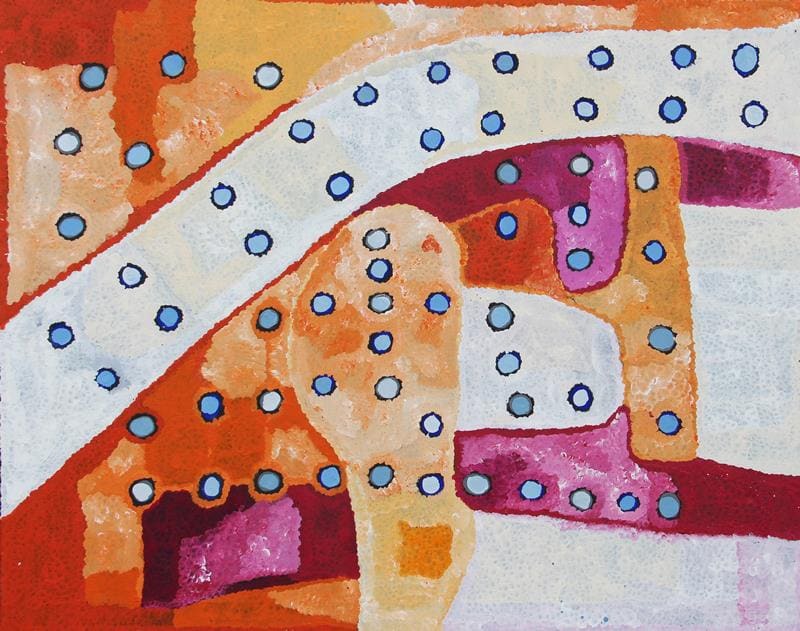 Mr Barney paints with strong colours and a powerful simplicity, he interprets the remote Anangu Pitjantjatjara Yankunytjatjara (APY) Lands from an aerial perspective. His landscapes are dotted with a brashness and integrity that boldly captures the essence of the majestic desert country. Carving out sections of country, shapes appear to shimmer and float in and out of spaces. The colours Mr Barney selects are evocative of the sun bleached desert sand hills and rugged bushland. A valued artist and staff member of Iwantja Arts, Mr Barney has traveled extensively across Australia, he has worked at Iwantja Arts for many years. His works are held in private collections nationally.